BRICS’ global health achievements and its unique position to influence health at global level have attracted increasing attention over the past years, an Indian Health Ministry official said this week at the launch of WHO bulletin devoted to the grouping. While launching the June 2014 issue of World Health Organization (WHO) bulletin devoted to the theme of ‘BRICS and Global Health,’ India’s Additional Secretary, Ministry of Health and Family Welfare, C. K. Mishra said the members of the grouping were looking to increase collaboration in public health. At a function in New Delhi, Mishra said Brazil, Russia, India, China and South Africa have nearly 40 percent of the world’s population, and after having achieved remarkable economic growth over the last two decades, they have taken important steps towards improving their health systems and the health of their citizens. BRICS have also gathered into a cooperation initiative around the most salient issues of their respective agendas, Mishra added. The additional secretary said that BRICS’ global health achievements and BRICS’ rather unique position to influence health at global level have attracted increasing attention over the past years. It is well understood that implementing and delivering concrete results will lift up the health and well-being of millions of citizens in BRICS countries and will significantly contribute to the improvement of global health indicators, Mishra said. The Indian bureaucrat said that while the world has long acknowledged the impressive strides the BRICS countries have taken in the economic sphere, it is beginning to take note of increasing influence that the grouping’s exemplary and innovative public health programmes and policies are having in shaping global practices. He added that health collaboration as a priority to collectively enhance the BRICS partnerships. He further added that the impact of affordable generic drugs to manage HIV and TB, vaccines for childhood diseases also other to tackle the meningococcal meningitis, Japanese Encephalitis, innovations in diagnostics, health service delivery, and Information technology and based applications are key contributions to global health that have emanated from BRICS countries. Mishra also said the development and rapid adoption of appropriate and affordable health technologies is a key to ensure game changing interventions to reduce the burden of endemic and emerging communicable diseases, obtain the desired health impacts in non-communicable diseases but also to address the escalating cost of health care. Towards this the BRICS countries seek to collaborate on enhancing our health technology development, assessment and adoption capacity, he added. 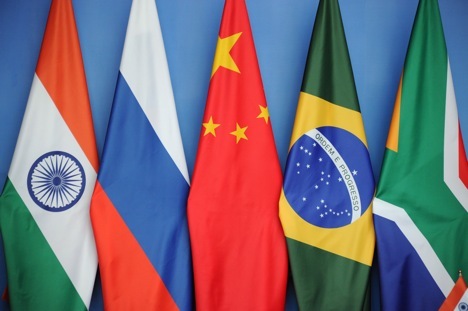 Cooperation in public health will be high on the agenda when the leaders of the BRICS grouping meet for their annual summit, which will be held in July this year in Brazil.